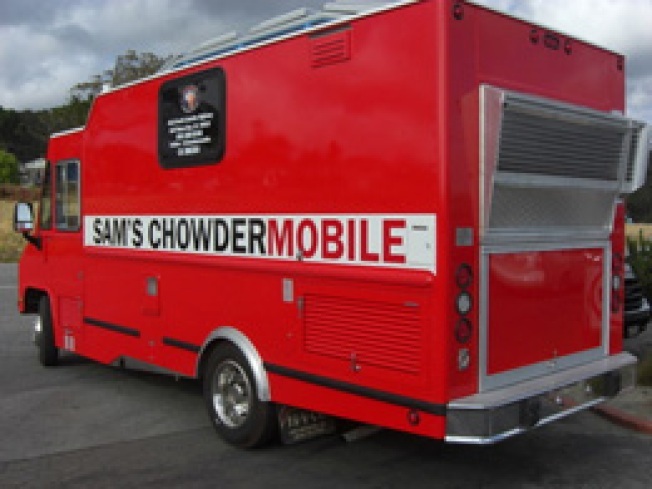 News of Sam's Chowdermobile—the truck spinoff of Half Moon Bay landmark Sam's Chowder House—has been out for a few weeks now, but as it finally nears a launch, in comes a second truck too. And unlike the original Peninsula-laden one, it's going to have local implications: "The notion of taking the restaurant's successful menu on the road came to Shenkman a year ago when he realized there was no local competition. He would like to send a second truck to San Francisco's Financial District every day that can also be parked outside local clubs and bars at night." Look for the seafood van coming to a nightclub near you!